We offer a full line of top equipment at the lowest prices including clubs, bags, carts, balls, training aids, books, and more for the new golfer or low handicapper. Need new grips or a reshaft? Bring in your clubs for a quick tune-up and fast turnaround. Our outdoor driving range offers us the opportunity to see the entire ball flight from start to finish. Trackman and Fore Sight launch monitors are used for all of our instruction and club fittings needs to ensure that each and every customer goes away with properly fitted equipment. 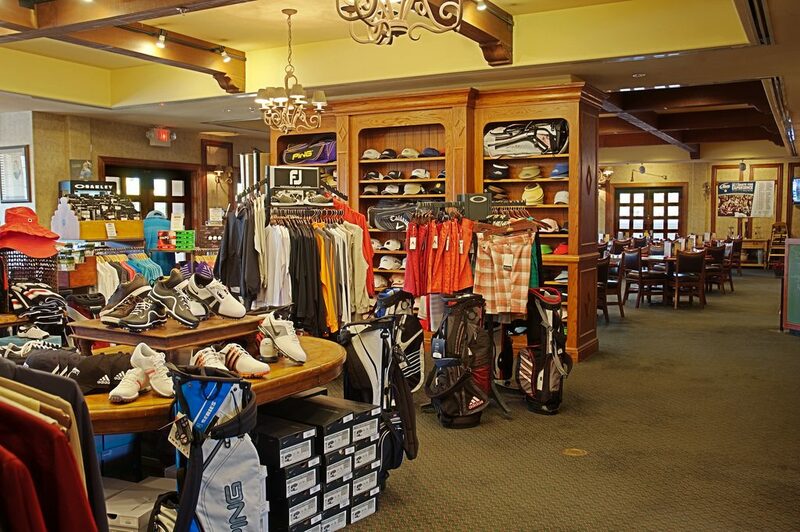 We carry multiple brand names of apparel, rain suits, winter wear, and golf shoes for men, women, and children. We are the only advanced Fitting Center for Titleist on the Peninsula. Advanced Fitting Centers employ experience fitters and are equipped with over 1,800 club combinations in their SureFit Carts. They utilize launch monitors and offer a high level of service for golfers who want an in-depth and thorough fitting experience. Trackman and ForeSight launch monitors are used for all fittings.